The piano is a beautiful instrument with unmatched emotional depth. Without it we would be without the music of Elton John, Thelonious Monk, Alicia Keys, and many more. 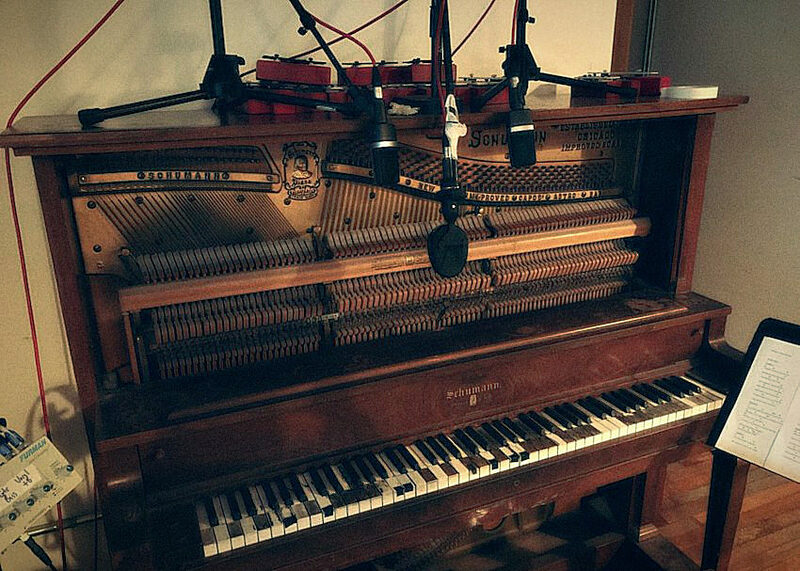 There are many types of pianos and each presents a different challenge for recording engineers. Recently, I had the chance to record an old upright piano, and thought I’d share some tips I picked up during the process. I have recorded many grand pianos, and I usually pair two condenser microphones with a ribbon microphone. The condensers are a stereo pair intended to capture a stereo image of the piano. I used the ribbon to grab the warm sustain of the full instrument. 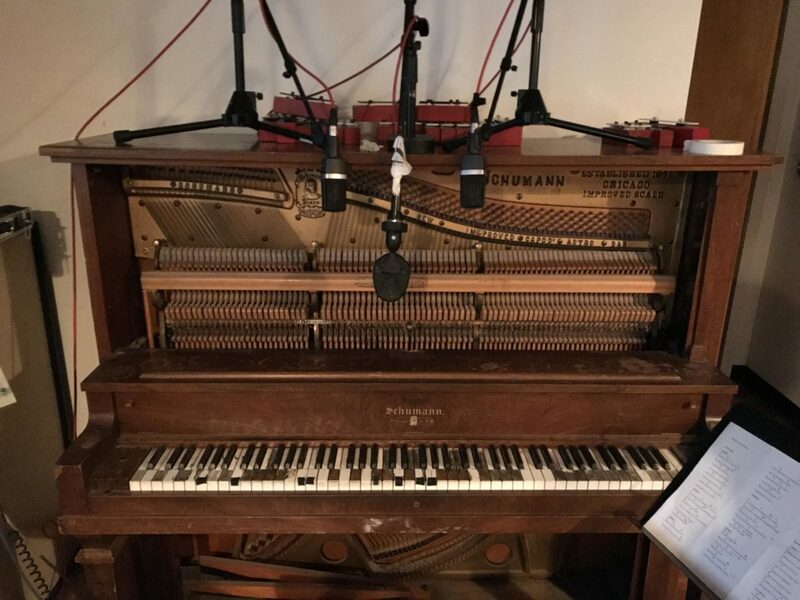 For this upright piano, I applied a similar technique with two AKG C214s and one Coles 4038. We do not carry the Coles 4038, but you could get a similar result with a Cascade Fat Head. My second challenge was related to placement of the microphone stand. I want to get close to those strings, but I also had to leave some space for my performer to play comfortably. To avoid getting in the way of the pianist, I placed my microphones on short stands and dangled them from the top of the upright piano. The short stands didn’t allow me to get as close to the strings, but I am still pleased with their placement. 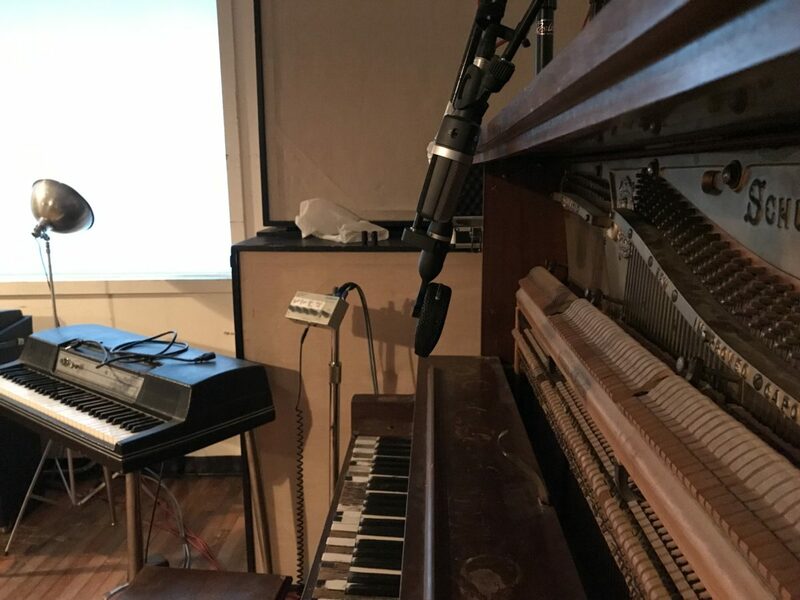 The AKGs were arranged in an ORTF microphone pattern and the ribbon was placed in between the two microphones to focus more on the resonance of the entire piano instead of the hammers. An ORTF microphone pattern is used to record stereo sound, with the microphones about 17cm apart and with an angle of 110 degrees between them. If we’re being honest, I didn’t break out my protractor to get those exact measurements. Instead, I choose a distance between the microphones that is similar to the distance between a person’s right and left ear. For the angle, I just slightly angle each mic towards its respective left or right side. Check out the clips below to hear just the C214s, just the Coles 4038, and the combination of the two. You may notice that the sustain pedal is a little noisey in this recording. Keep your eyes peeled for my next article, where I’ll discuss how I removed some of these pedal noises and mixed them to fit with the rest of the instruments.